Fungi are decomposers, meaning they break things down, including the human body. In particular, parasitic fungi feed on live hosts and are responsible for numerous human diseases called mycoses, ranging from skin infections to serious respiratory illness or even tumors. Exposure to parasitic fungi can occur from inhaling fungal spores or consuming molds and yeasts from food. Chances are, most people do not consider fungus as a possible root cause of their symptoms; however, many could benefit from antifungal remedies. Garlic and carrots are not only powerful antifungals, but contain an array of vitamins, minerals and other antioxidants. 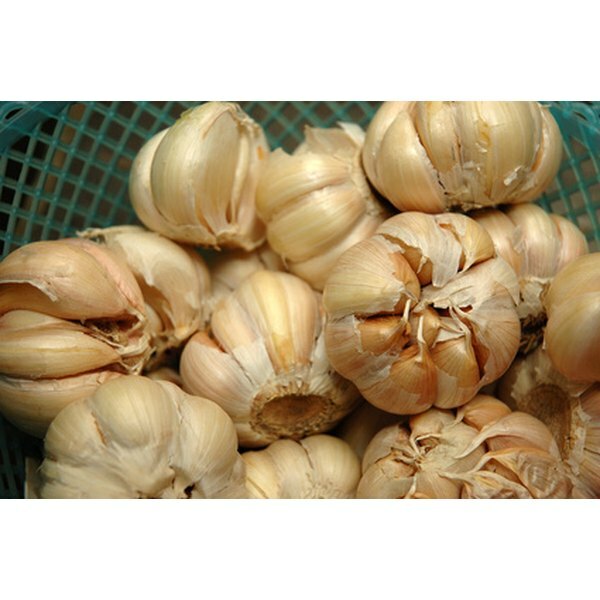 Garlic contains allicin, which exhibits antibacterial, antifungal and antiparasitic activity. Carrots contain the derivative isocoumarin. A 2008 study in the Journal of Applied Microbiology reported, “Purified ethanolic extracts of peeled and shredded carrots showed an antimicrobial effect against a range of food-borne micro-organisms.” Drinking a combination of carrot juice and garlic daily can have numerous health benefits and can fight systemic fungal infections in the body. Essential oils also have antifungal properties. A 2009 study from the journal Foodborne Pathogens and Disease showed that thyme, oregano, clove and orange essential oils were the most effective against certain bacteria and yeasts. In particular, oregano oil contains isomeric phenols that destroy certain fungi such as Aspergillus and Candida albicans. Clove is also effective against these fungi due to its high concentration of the active antifungal ingredient eugenol. Orange oil contains d-limonene, which is often used as an additive in certain household disinfectants to clean mold. Home remedies can also be utilized for topical fungal infections. Onychomycosis is a fungal infection of the nail. Tea tree oil has been shown to help treat toenail or fingernail fungus. The Journal of Antimicrobial Chemotherapy published in 2002, “Based on both its inhibitory and fungicidal action, tea tree oil may be a useful agent for treating dermatophyte infections.” The journal reported that tea tree oil is most effective when used in combination with an internal antifungal, such as those aforementioned. It is important to note that tea tree oil can be mildly irritating and has been associated with the development of allergic contact dermatitis, which may limit its potential as a topical agent for some people. Also, nail fungus can take weeks to months before it is completely eradicated. Medicated chest rubs such as Vicks VapoRub can also be used as a home remedy for topical fungus. According to researchers at the University of Michigan from the journal Phytotherapy Research in 2003, "The ingredients in medicated chest rub including eucalyptus oil, camphor and menthol were efffective in controlling onychomycosis." For best results, the rub should be applied at bedtime and covered with a sock or bandage. Initially, the nail will start turning dark in color, which means the rub is working. As the nail grows out, it should be trimmed. With consistent use, it takes between five and 16 months for the infection to clear up completely, which is a time frame comparable to some other toenail fungus treatments. Baking soda contains sodium bicarbonate and potassium bicarbonate, which have been shown to control mildew in plants. Cleaning fruits and vegetables with a mixture of 4 tsp. per gallon of cold or lukewarm water can prevent spoilage. Furthermore, baking soda is often used as a home remedy for athlete’s foot or ringworm. Fungi thrive in an acidic environment. Baking soda works by alkalizing pH, thereby eliminating fungal growth. Baking soda has also been shown to fight yeast or fungal infections in the mouth. It is often found in toothpaste and mouthwash. However, it is important to remember that consuming too much baking soda can be toxic. Usage should be limited to topical applications or as a mouthwash or rinse once per day. Jami Cooley is a registered nurse who was first published in 2005. She is the co-author of "Eating Your Way to Good Health" and "The Fungs Link Volume 3." She also founded Nutritional Nursing Specialists. Cooley is certified in chemotherapy and biotherapy from M.D. Anderson hospital of Houston.